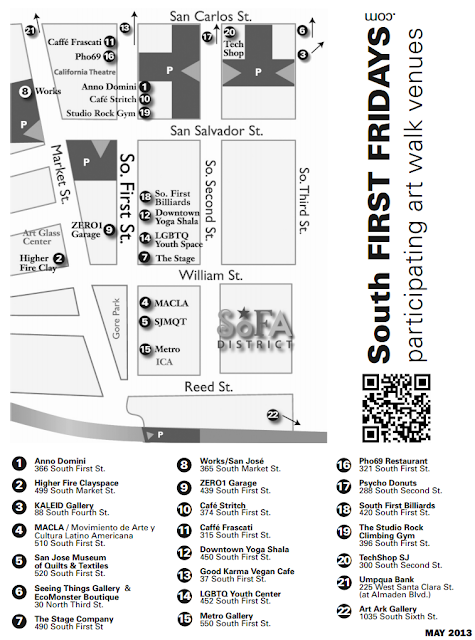 The San Jose Blog: South FIRST Fridays Tonight! The weather is going to be amazing tonight, so what better day to come out and enjoy Downtown's SoFA district? At least 22 venues will be participating in the art crawl today, including newcomer Umpqua Bank on Santa Clara Street. I have a feeling it will be a great event tonight! To see a preview of the art that will be featured, just head over here.